Pioneer broadcaster Louis Wasmer purchased KFIO from Arthur L. Smith on 31 May 1950 and promptly changed the call letters to KSPO on 9 June 1950. At the time of the sale, Smith announced that he was going to retire from broadcasting because of poor health. Wasmer commented that "Smith has contributed much to the art of broadcasting and his retirement will be the industry's loss." Wasmer noted that "there is no anticipated change in either personnel or policy, and KFIO would carry on as it has under Smith's able management."Mr. R. G. McBroom, manager under Smith, and a staff of nine persons was retained. KFIO and KSPO at the time was called Spokane's "finer music station." 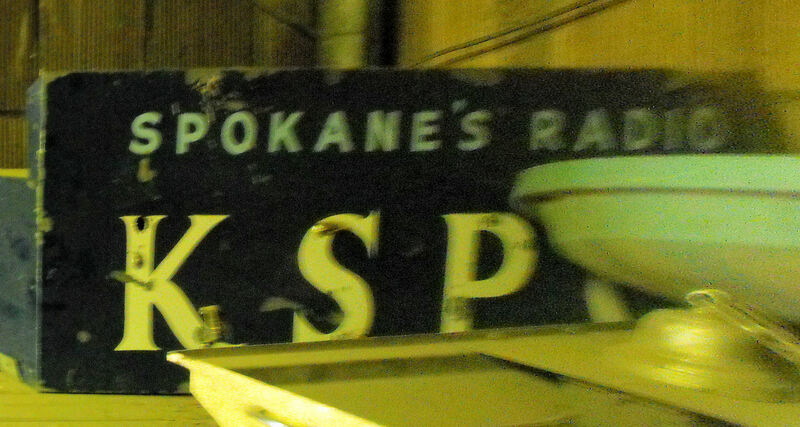 The KSPO at the time was called Spokane's Radio. When Fidelity Mutual Savings decided in late 1951 to raze the Fidelity-Ziegler Building to build a new one in its place, they told Louis Wasmer that KSPO must vacate their spaces in the building by 1 April 1952. Wasmer noted that while KSPO's tower was not on the Fidelity-Ziegler Building, but on the neighboring Sherwood Building, it would upon the construction of the new building be in a "hole" because the building would be taller than the old building. Therefore, KSPO would have to find a new site. Fortunately for KSPO, KREM had moved its transmitter plant from the Realty Building to Moran Prairie and was preparing to move its studios in late 1951; so the basic infrastructure for a radio station were already in place and the decision to move there was made. The station owners only had to re-erect the tower and refurbish the office and studios. In addition to receiving FCC approval, the move was contingent on re-erecting a new tower on the Realty Building and removing the old one from the Sherwood Building. KSPO was operating in its new home late February 1952. 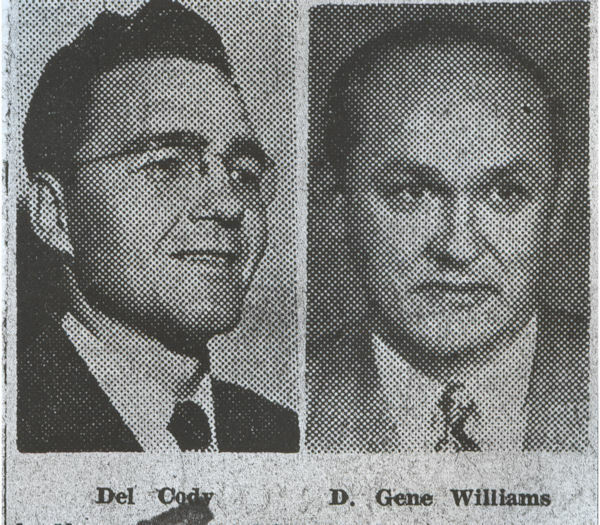 In the meantime, in late 1951, Wasmer sought to buy KREM from Cole Wylie and sell KSPO to Del Cody and D. Gene Williams. The FCC approved the transactions in July 1952 and the deals were finally consummated in August 1952. Wasmer wanted KREM so he could development his long time dream of building a television station. Wylie wanted to go back to Sunnyside to operate radio station KREW and his cattle ranch there. Charlie Ryan wrote the words to the song "Hot Rod Lincoln" and the song was played on KSPO for the "first time?" More details to come. That was the sound which greeted listeners to when they tuned to KSPO in the wee hours of 2 May 1957. At 3:30 AM, police received a report that something strange was going on at KSPO because a record had come to the end and the disk jockey was not speaking. Officers David Dippel and William Beeman were dispatched to the Realty Building to check things out. Upon arriving at the station, the officers found disk jockey Little Larry Buck with his head on his arms fast asleep even though the telephone lines were all ringing off the hook. Buck had put an 18-minute record on and fell asleep before it ended. When the officers awakened him, Larry told his listeners, "That's how it goes. When you listen to sleepy Little Larry we put you all to sleep. Now we'll put on a good hot one and you can all put your feet on the floor." Station listeners began calling the station with suggestions. Station owner Del Cody reported that "one person said Larry Buck should adopt his theme from an album, 'Music to Dream By." "Another thought that the "Sleep Walker's Lullaby' would be a good theme for Larry." 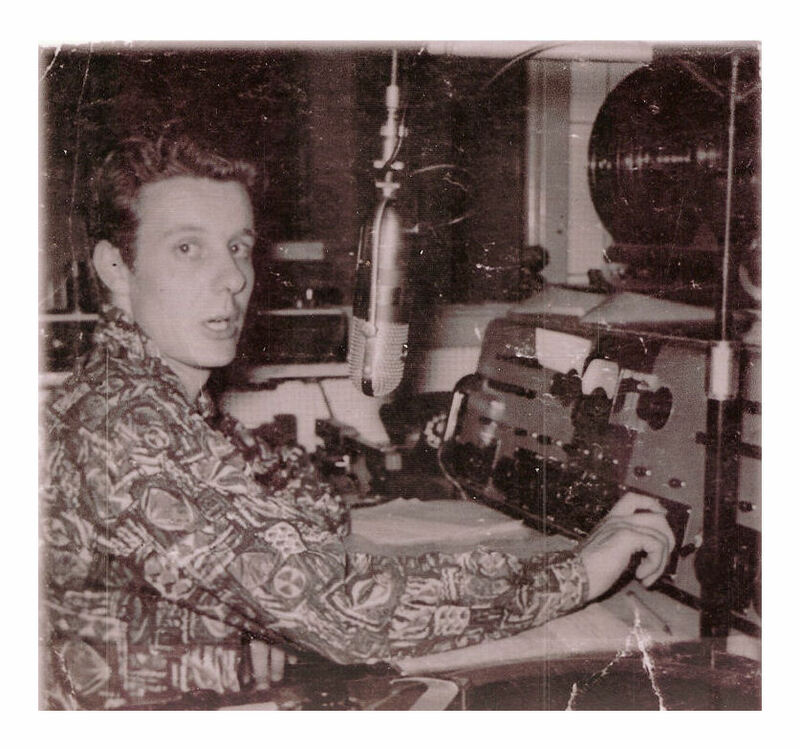 Disk jockey Steve Sorenson may have set "at-the-time" national record for non-stop broadcasting when he left the air at 1:00 AM 19 March 1956. according to station officials, that ended an 85-hour, 5-minute, 20 second continuous on-the-air marathon, breaking an 84-hour record. The marathon broadcast happened in the display window of his store in Downtown Spokane. Sorenson was a former disk jockey from Tacoma and had come to Spokane to operate radio and television parts store. A few words about KFIO's and KSPO's network affiliations are in order. KSPO was an affiliate of the Mutual-Don Lee Network from October 1942 to 31 August 1947. The move to terminate the affiliation with the network was necessary because KNEW with its more powerful 5000 watts had negotiated to takeover the affiliation and KFIO with its 250 watts could not compete. In November 1950, KSPO joined the newly formed Progressive Broadcasting System, which provided programming 12 hours per day. Unfortunately, this nationwide network lasted less than two months. KSPO joined the Liberty Broadcasting System for a short time in the early 1950's. This network was founded by Gordon McLendon. McLendon was famous famous for re-broadcasting live recreations of Major League baseball games by reading the newswires. This was before Radio stations were allowed to broadcast games live. By broadcasting a program from a phonograph recorded entitled "The Investigator" on 6 March 1955, KSPO found itself embroiled in a controversy. Several local residents purchased time on KSPO to broadcast the program, which lampooned the Congress and the committee on un-American activities hearings which were being held at the time. The show's author Reuben Ship had been called before the committee and was asked point blank if he were a communist and pled the fifth amendment. He was subsequently deported and wrote the show while living in Canada as a protest. According to Thomas L. Bienz, eastern Washington chairman of the American Legion un-American activities committee, the show was highly praised by the Communist Daily Worker and other communist publications. KSPO was scheduled to be re-broadcast on 21 March 1955. However, because of the huge uproar in Spokane, the re-broadcast was canceled. This chapter of KSPO ended on 17 July 1957 when the station signed off of 1340 kHz and signed on as KLYK on 1230 kHz. "All-Night Disk Jockey Victim of Dreamy Tune." Spokane Chronicle. Spokane, Washington. 2 May 1957. Page 1. "Bienz Opposes Airing Record." Spokesman-Review. Spokane, Washington. 20 March 1955. "Disk Jockey Ends 85-Hour Air Stunt." Spokane Chronicle. Spokane, Washington. 19 March 1956. "KFIO to Leave Mutual Chain." Spokesman-Review. Spokane, Washington. 3 August 1947. Page 10. "Radio Station KSPO Joins Progressive Network." Spokesman-Review. Spokane, Washington. 23 November 1950. Page 12. "Radio Stations Moving Offices." Spokesman-Review. Spokane, Washington. 21 February 1952. Page 6. "Sponsors of 'Investigator' Rebroadcast Are Identified." Spokesman-Review. 23 March 1955. Page 5. "Station Joins New Network. Spokane Chronicle." Spokane, Washington. 23 November 1950. Page 5.